Simple and comfortable property located in the easily accessible area of Shimla bypass road. Ivy resort is situated in Shimla Bypass, Phagli, Shimla. The property has simple and well furnished rooms attached with modern bathrooms. The bathrooms are well equipped and the rooms have peaceful and comfortable ambience for the guests. The property also has an in-house restaurant with large dining area. They also have power backup facility, parking facility and CCTV monitoring systems. 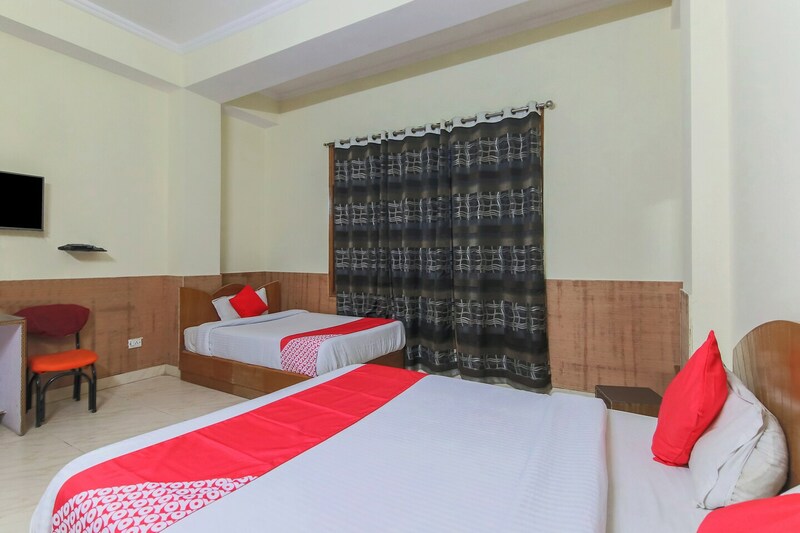 The guests staying in the property can take a tour of the city by visiting famous places like Victory Tunnel, Scandal Point, Shimla Jahku, Chadwick Falls, Monumental National Flag and Hawa ghar. The guests can also have tasty food in various restaurants like Neelkanth bar and restaurant, Devicos restaurant & loungee bar, Bhojan, Cafe Sol, 45 The Central and Seventh Heaven.